Why Choose New Look Clean professional carpet, upholstery, and leather cleaning? New Look Clean are a local, established, family run business that has been cleaning carpets and upholstery in Tamworth, Lichfield and Sutton Coldfield since 2007. We offer detergent free carpet and upholstery cleaning using organic, eco friendly cleaning solutions that out perform harsh chemical detergents, soaps and shampoo’s. 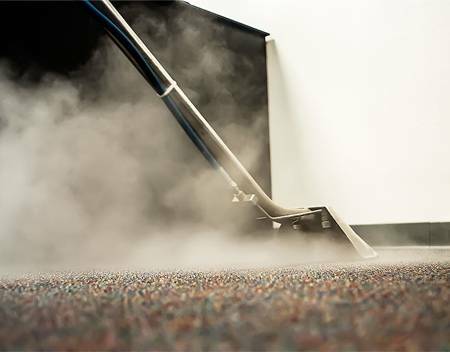 The solution actually breaks down and destroys the dirt at a molecular level without the need for damaging high temperatures and can clean up to 50 times more than standard cleaning techniques. Once dry, the product is totally undetectable and we guarantee we leave no dirt attracting residues in your fabric. Most clients worry that after cleaning, their fabric will attract dirt more quickly – this will happen with detergent cleaning when residues have been left behind and so actually adds to your problem. With our correct cleaning practices, your fabric will be cleaned, sanitised and deodorised without leaving any residues at all meaning the fabric will be maintained, not attract dirt and last much longer. After the purchase of your home and vehicles, your household items and furniture are your next biggest expense – why shorten their lifespan with poor cleaning when New Look Clean can actually ensure they will give many more years or use? We can also eliminate dust mites, bacteria/viruses (including MRSA, C-Diff, HIV, Hepatitis,) odours, beetles, bed bugs and larvae. Not all carpet and upholstery cleaners are the same!! 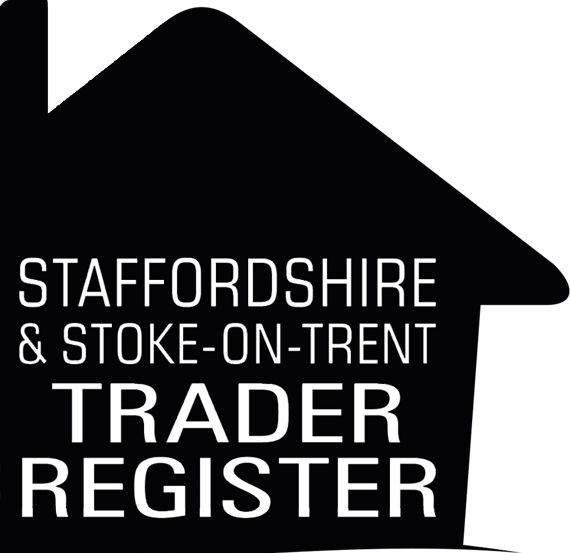 We are proud members of The Staffordshire County Council Trader Register. This is not a simple paid membership where we pay a subscription to display a sign. The Council have checked our training, qualifications, insurance, website and documentation to ensure it is all correct before accepting us on the Register. Without this you can not guarantee your cleaner has had any training at all as formal training is unfortunately not mandatory within our industry – so choose wisely! Please take time to visit their website here. We are totally independent – we are not a franchise. That means much more competitive pricing but with expert knowledge and service. We are not limited by one system or one supplier of cleaning agents, we are free to use our knowledge and expertise to choose the right product and cleaning system for your fabric. We will price match any other local professional carpet and upholstery cleaners. Even though we are independent, we are also a member of the Eco Carpet Care Network. This Network of cleaning companies was set up with strict guidelines on cleaning practices and chemicals used to provide the most safe products available for both the customer and environment. We use a van mounted extraction unit with a water tank fitted on the van. This means the massive power of a van mounted machine and we carry our own rinse water so do not need to keep using your sink or taps. The van also has a dirty water tank, so all the dirt is carried directly to the van and not in a machine in your house! We also have the most powerful portable extraction units too for when we are unable to extract direct from the van. We also use low moisture methods when they will acheive the same results with faster drying times than extraction. We are fully insured for Public Liability and Treatment Risk meaning your items are fully covered for your total peace of mind. We have completed advanced training in our industry & continue our training ongoing. We wear overshoes on all quotes and jobs. Main furniture is carefully moved and replaced. Your home is left tidy when we leave! We offer a 100% money back guarantee (terms here.) We will also price match any other professional local cleaners. New Look Clean promise expert attention with a friendly and honest approach. Please look at our services available and then contact us to arrange your free no obligation quote. Please also check out our Cleaning Blog which we will try to update as often as possible.